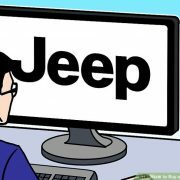 When are you doing the install? Starting tomorrow morning at 0830! I had to be in Nevada this weekend, please let us know your progress. Finished up Saturday night! Went relatively easy apart from a few small things. No real issues though. 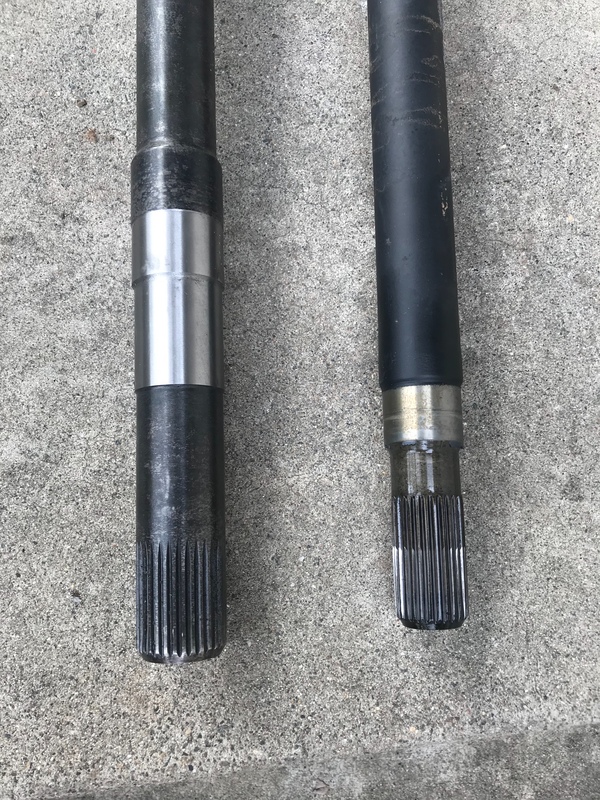 Quite the difference in shaft and U joint size. 1410 vs 1350.
also you can see how the center section is more so modeled after the the UD 60’s with the cut out. Pretty cool! Definitely an improvement Brian, again, good move toward reliability! 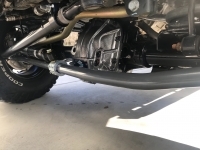 I was working on projects around the house so I didn’t get there till about noon but when I got there they had the old axle out and the new axle bolted up to the control arms and shocks. 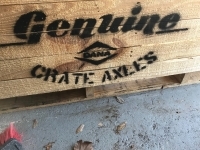 I will say that the Cs on this are bigger than the pre -05 Dana 60 Cs. All of the brackets are beef. I jumped in and started with bolting in the factory driveline which fits without issue. The swaybar link on the passenger side was a tight fit but worked with a little persuasion. We put the factory aluminum knuckles on the new axle and followed the torque specs closely. The new shafts with the giant u-joints still fit through the knuckles so field servicing u-joints wont require removing the outer knuckle. The brakes went on easy with the only modification needed being to bend the little brackets that hold the brake line and ABS sensor lines, nothing some pliers and a hammer couldn’t fix. With everything else on we moved to the steering. 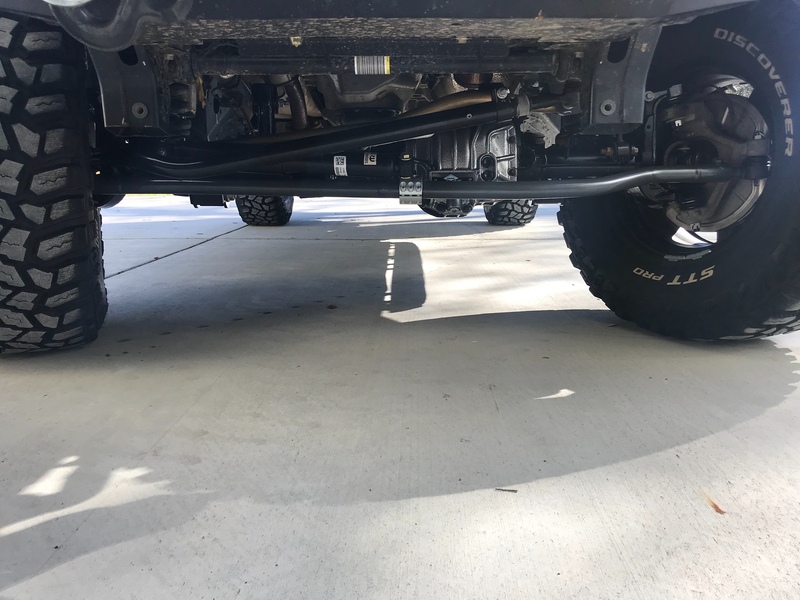 Brian used a synergy upgraded tie-rod which works for both sport and the wider Rubicon axles by adjusting the tie rods. The metalcloak track bar bushing housing already needed a little bit of clearancing to fit the stock housing and with the thicker brackets on this one we had to pull the joint out and shave and additional 1/8″ off one side. (this isn’t so much a metal cloak issue but a dana issue needing to leave more clearance for bigger bushings.) 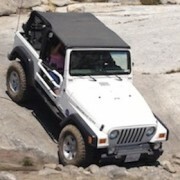 Brian also picked up a factory rubicon drag link which we swapped out. 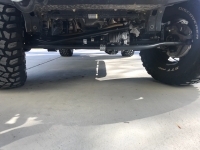 The instructions say either will work and my guess is that the factory sport drag link had the extra inch of adjustment in it but would have been near full extension. Upon going to torque everything we hit our first snag. One of the synergy castle nuts stripped all of its threads out about 3/4 through reaching torque. The ball joint was fine but the castle nut was not. Being a 9/16 thread, the factory metric hardware couldn’t be used so we needed an emergency hardware run. Luckily a fine thread 9/16 castle nut was in stock at ACE down the street. All in all it is a super nice unit and everything seemed to line up perfect. The install went smooth with only standard hardware issues. 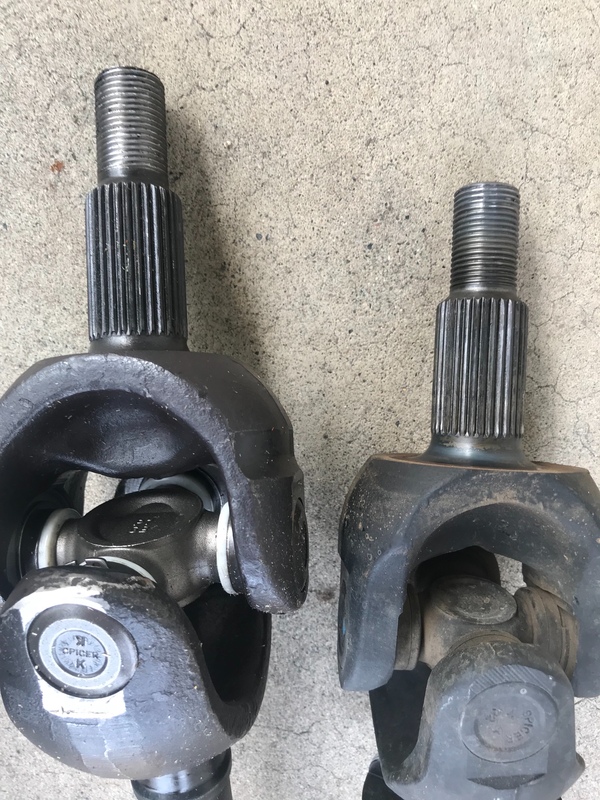 I have never once swapped an axle without finding something stripped or needing a slightly longer bolt so pretty par for the course in my book. 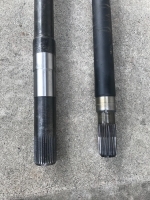 Time will tell about the strength of these axles but 32 splines inner and outer chromo shafts, giant u-joints and Cs, thick tubes, and thick brackets all seem good 37s. I don’t see Jessica going bigger than 35s on hers but if she does I would go for this axle without hesitation. The only issues I’ve read about on the Ultimate Dana axles is the track bar bracket likes to rip off on the trail. Not sure if they’ve corrected the issue or if it’s different on the 44s than on the 60s. Take some time and inspect it. Might be a good idea to box it in or replace with a Synergy bracket. Also, on the 60s there have been some reports of the tubes turning inside the housing. Might also want to weld those in a little better. These may be non-issues now, but worth checking into before hitting the trail. I’ll keep an eye on it but the brackets and the welds look very beefy. The only issues I’ve read about on the Ultimate Dana axles is the track bar bracket likes to rip off on the trail. I’ve heard of that happening.